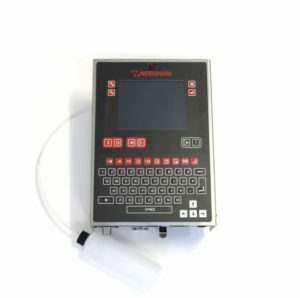 The S-6000 Plus can be used as a simple standalone, easy to program printer, or alternatively integrated into a full production network system. Ideal for quick and easy product and box coding. The piezo technology in this on-line, high resolution ink jet printer gives unbelievable print quality for small or large characters, graphics and bar codes. The S-6000 Plus will print up to 17mm high (Standard) or 34mm high (Duo) and features multi-line coding. This compact self-contained printer offers easy message entry and editing using a full QWERTY keypad and color WYSIWYG screen. 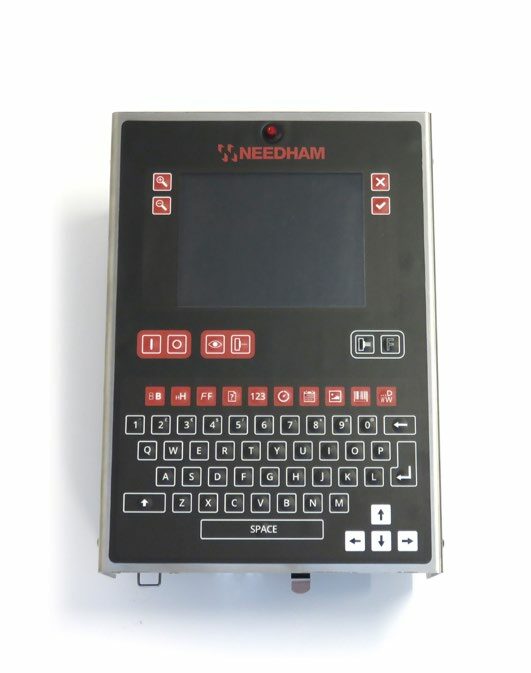 It also comes complete with software for networking and label creation through a PC. The S-6000 Plus Inkjet Coder is simple, clean and easy to install and use for coding Lot, Batch Number or Expiration Date onto bottles, jars, cans and other containers– it uses an ink cartridge system so there is no mess! Easy printer to set up with print head fitted internally with ink cartridge. Perfect for cartons, printing up to 34 mm text and bar codes. The S-6000 Plus, is an efficient, low cost alternative to expensive, complex continuous inkjet systems (CIJ’s) that traditionally use dangerous, unpleasant, odorous chemicals. Its simple cartridge loaded, odor free, alcohol based ink is clean and easy to use without any chance of spill or mess. 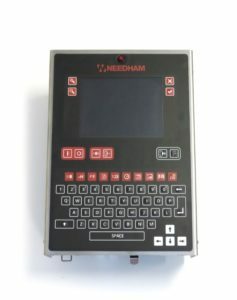 The system is easy to program from its fully integrated QWERTY keypad and full color WYSIWYG screen, or it can be controlled and programmed remotely from a centralized computer system, as full computer connectivity is a standard feature of the system. The new standard motorized printhead cover allows the S-6000 Plus to remain ready to print even when line stops are for extended lengths of time. In some environments the printhead will remain ready to print for up to 6 hours of line stoppage without any additional preparation. For system operators this means that once set up at the beginning of a shift, the S-6000 Plus will be ready to print after coffee breaks, lunch breaks, extended line stops or product changeover. Each system is provided complete, ready to run with software, ink cartridge and mounting bracket. Just plug it in, enter your message and start printing. All of these advantages, as well as exceptional quality print are available at a fraction of the cost of previously available inkjet systems. Why use a complex, difficult to program, chemically unfriendly system that might cost up to twice as much as S-6000 Plus when you can have the advantage of cleanliness, ease of use and low operating costs right at your fingertips!